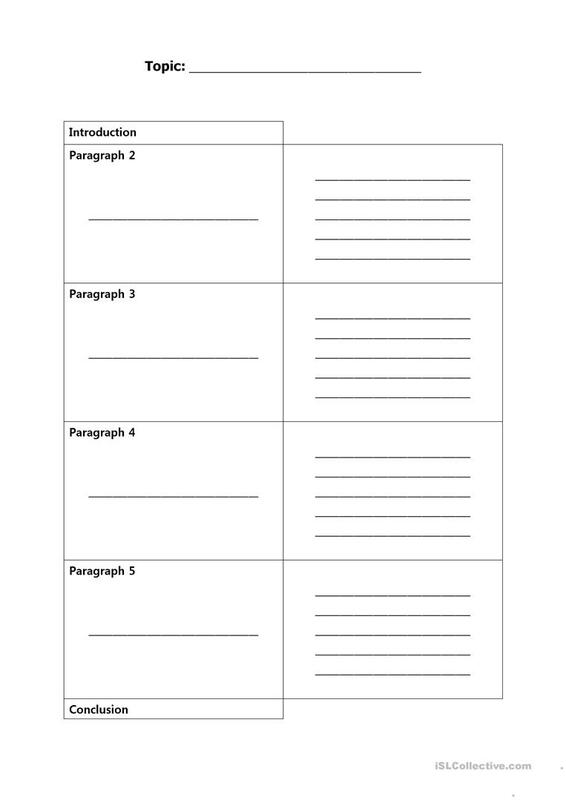 This is an outline sheet to help students organize their thoughts for essays and speeches. The present printable, downloadable handout is intended for business/professional students, high school students, elementary school students and adults at Pre-intermediate (A2), Intermediate (B1), Upper-intermediate (B2), Advanced (C1) and Proficient (C2) level. boxedj is from/lives in Canada and has been a member of iSLCollective since 2012-06-04 13:15:52. boxedj last logged in on 2015-07-21 07:07:44, and has shared 2 resources on iSLCollective so far.